Green is the theme of the week for a variety of reasons: St. Patrick’s Day is on Thursday, my birthday is on Wednesday and green is my favorite color and I’m thinking spring! Each day I’ll showcase a few of my favorite green items. I hope you enjoy and are inspired by this glorious color. 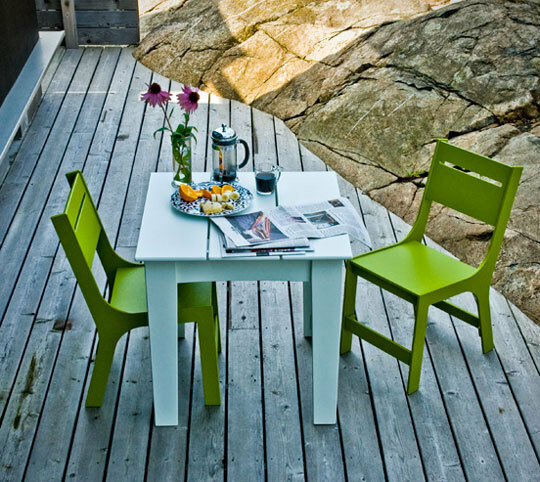 Furniture is a great way to subtly bring the color into your home. 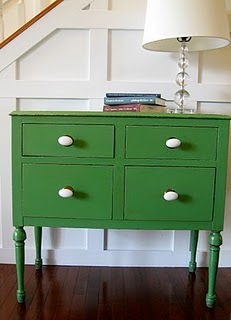 Paint it or buy it, but I’m totally digging this grass green color and how it pops on the white wall.